If you’ve never been to Liverpool before then you are definitely missing out. It’s the UK’s fifth largest city, with a thriving foodie scene and very lively nightlife culture, plus there are plenty of arty things to get up to in between. Liverpool was the birthplace of legendary band The Beatles and it upholds its musical reputation with plenty of places to hear up-and-comers play on a nightly basis. Here at YHA, we decided to get insider information from the city’s stylish residents, to bring you some great suggestions on how to spend a few days in this vibrant city. Liverpool has the biggest number of galleries and museums than any other city in the UK outside of London, and the best news is, a lot of them are free. You’ve got the Walker Art Gallery (right next door to the World Museum and Liverpool Central Library, which has a stunning rooftop view), FACT, Open Eye Gallery, Bluecoat and Tate Liverpool. Some of the exhibitions in the Tate cost a couple of pounds, but it’s something you have to do when you visit the beautiful Royal Albert Dock. For a small city, there certainly are a lot of gorgeous views in Liverpool. On certain evenings, you can go right up to the top of the Anglican Cathedral for less than £10 and see 360 degree vistas of the city, or, you can wander down to the Pier Head at sunset, pop on the train to see the iron men at Crosby beach, or get on a ferry to see Liverpool’s skyline in all its glory. Liverpool has an abundance of free and fascinating museums to check out. 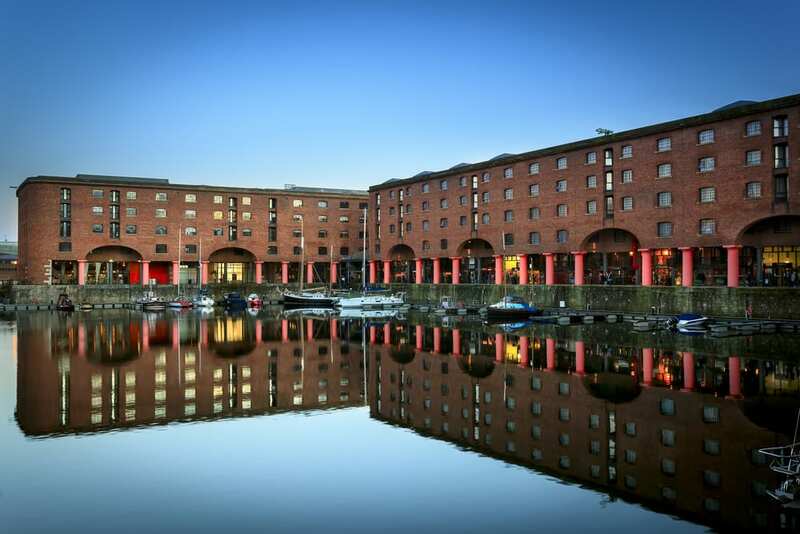 My personal favourite is the World Museum as it’s full of brilliant exhibits from the Egyptians to a Planetarium but you can also find the Museum of Liverpool, International Slavery Museum and The Beatles Story at the Albert Dock. If you’re all about the nightlife, Liverpool is the place to be for cheap drinks and free entry into the majority of clubs in the city. You can find venues that cater to virtually every taste, from trance and dance to old school bangers to finish the night off. The town doesn’t get going until around midnight, although you can often get free drink deals if you are out earlier! Check out the Baltic Triangle for hip bars, cafes and vintage stores. Located just ten minutes’ walk from Liverpool One, you might not find a heap of super cheap eats but you will have a brilliant time. For the best view of the city, pay a small fee to climb to the top of the Anglican Cathedral. If you’re seriously pushed for money, the inside of the cathedral is beautiful and completely free to enter but I’d highly recommend taking on the steps! I really adore the Maritime Dining rooms, it is on the very top floor of the Maritime Museum, so you can have a wander around the Museum (for free) and then go have some lunch. The views are breath-taking, and the roast dinners are delicious. There’s plenty of reasons to visit Liverpool and if you fancy taking a trip to this fun and vibrant city, then make sure to check out YHA’s affordable and stylish places to stay.